If you’re expecting a baby, there’s a good chance that you’ve included a baby crib, baby bassinet or baby playpen on your baby shower gift registry. However, it’s wise to research crib safety before purchasing this mainstay nursery furniture. Each year in the United States, roughly 9,561 children under the age of two are treated in the ER for injuries related to cribs, playpens, and bassinets. In addition to that staggering number, about 100 children die annually due to injuries sustained in cribs. These large figures come via researchers at the Center for Injury Research and Policy at Nationwide Children’s Hospital in Columbus, Ohio, who recently completed a 19-year study regarding crib dangers. The researchers used data collected via the U.S. Consumer Product Safety Commission’s (CPSC) National Electronic Injury Surveillance System, so keep in mind that any children treated in doctor’s offices or urgent-care clinics are not included in these findings. According to the new study, the majority of child injuries involved traditional cribs (83.2%), followed by playpens (12.6%) and bassinets (4.2%). 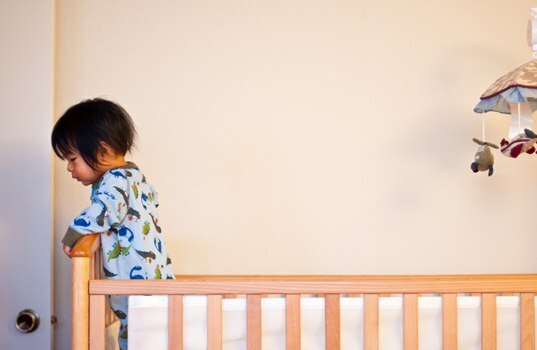 A whopping 66% of children injured, were hurt during a fall from a crib. Soft-tissue injuries to the head or neck were the most common injuries reported. Of course crib injuries aren’t a huge shock. We’ve all heard about the massive crib recalls that have been going on for the last few years; most being related to drop-side cribs. In fact, drop-side cribs are responsible for 32 child fatalities in just the last nine years. 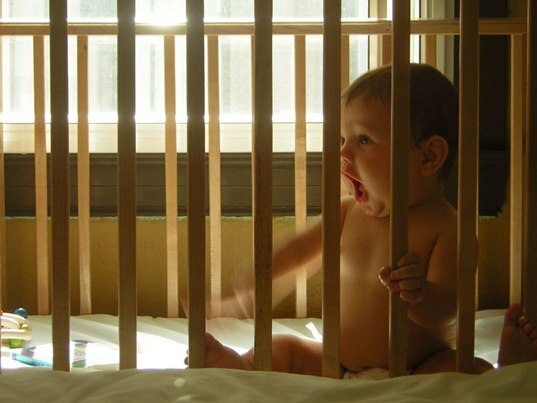 Drop-side cribs are considered so dangerous that the CPSC issued an official drop-side crib safety warning last year before banning them altogether in December 2010. All-in-all with this many injuries occurring annually, it begs the question, what is the US Consumer Product Safety Commission (CPSC) doing to make cribs and crib use safer? The researchers report that because of the sheer number of injuries seen annually, baby furniture companies should focus on safe crib designs. The CPSC recently approved brand new mandatory safety standards for full-size and non-full-size baby cribs — which is the first time crib safety standards have been updated in 30 years. Even if baby furniture companies and crib safety standards improve, it’s also up to you, as a parent, to make sure your baby stays safe in his crib. Many child injuries occur, not due to design, but because parents are unaware of how to use a baby product safely. With this in mind, the CPSC recently launched an entire Crib Safety Information Center for parents. If you have any concerns or questions about proper crib use, this is the perfect website to visit. 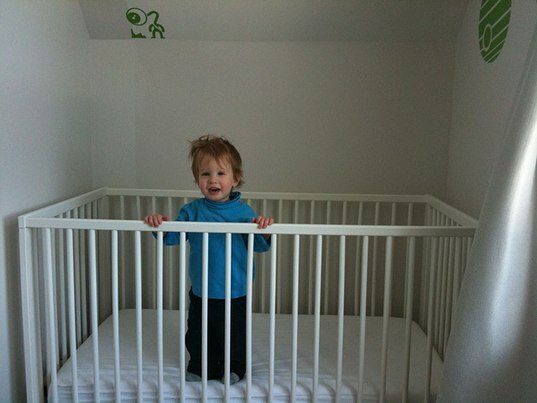 Also check out some of our favorite safe and eco-friendly baby cribs, as well as our posts on co-sleeping.